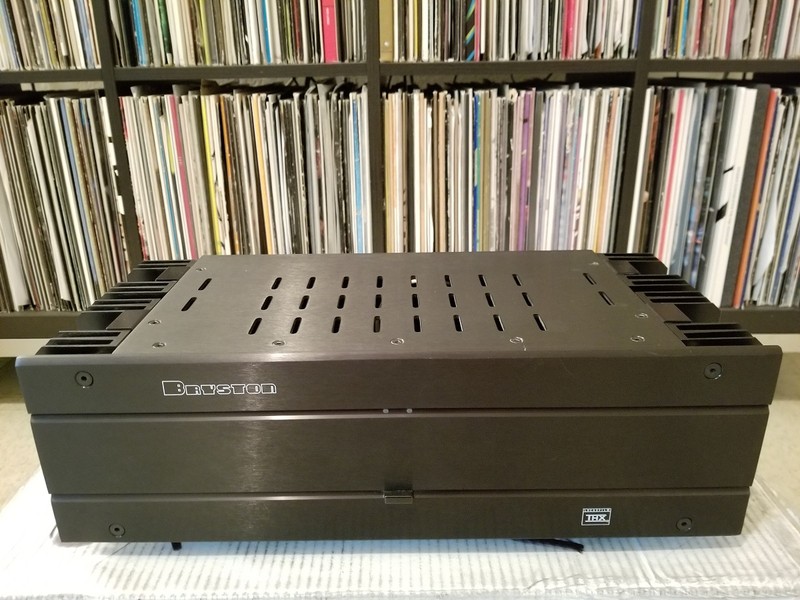 Just got this power amplifier today from a buddy on loan. Anyone have any experience or thoughts on this model? It's been sitting unused for several years, so I'm not sure of it's level of functionality. I was going to pop the top and take a look for any obvious issues like leaking caps, but it uses Robinson screws and I don't have a driver/bit for those. Will pick one up tomorrow and post some guts photos. I left him a Rotel RCD-1072, a Schiit Bifrost Uber w/ Douglas Connection Bravo digital coax, and a Cambridge Audio 640p phono pre. Figured he might like to check out some different gear. He's not a typical audiophile "tweaker" who likes to swap in/out gear though. But, I at least swapped out the Toshiba DVD player he was using for the Rotel while I was there today and it made a nice improvement in detail. 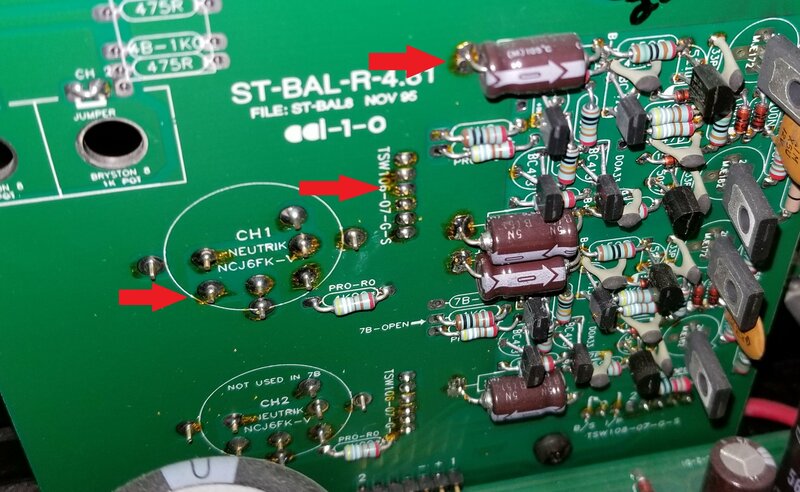 What is this gold stuff that has formed on the solder joints? 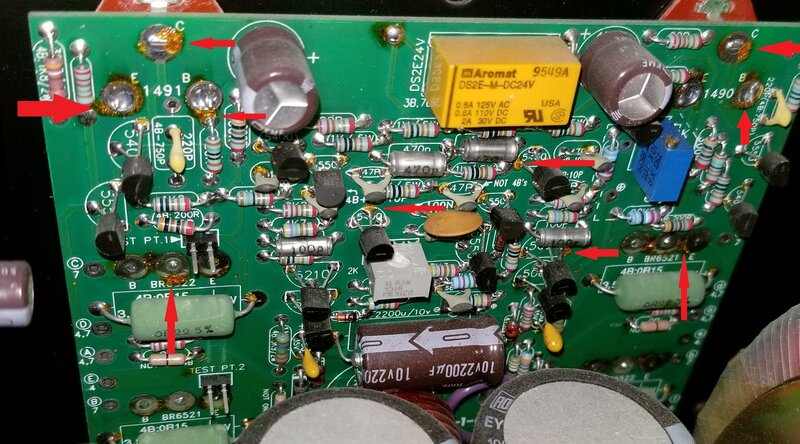 Why does a certain area of the power supply PCB look "wet"? I played it earlier for two hours hooked up to an old pair of speakers and it sounded perfectly fine. Also noticed a hefty power up and shut down thud through the speakers. That is solder flux. Take 91% isopropyl alcohol and a q-tip or soft tooth brush should come right off if it is flux. Totally unnecessary to remove its been there since day one. The 3B-ST is a decent amp. 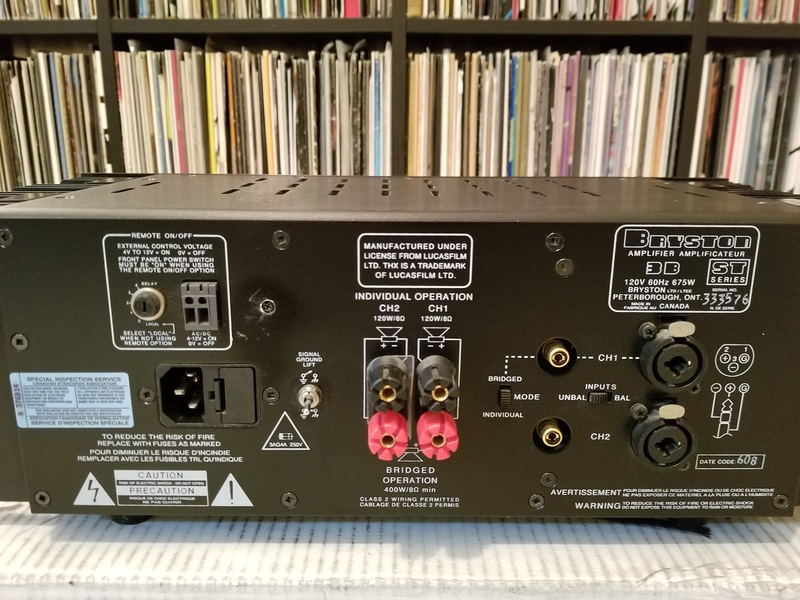 A little cleaner and a lower noise floor than the original non-ST series of amps, which were a little too clinical sounding yet compared to later variants. Looks like this particular unit is from around 1996 based on the date code. I gave it a listen for a few hours and I'm definitely liking what I'm hearing! Music sounded great, with all of the minute tiny details easily heard, as well as the big dynamic swings that sounded effortless. Not bright or harsh on the top end whatsoever, if anything it's a little sweet up top or slightly rolled off. Bass performance seemed to be "less/lower", but I believe this is a symptom/side effect of it having "tighter" bass. With a damping factor of >500 I guess this is to be expected. Seemed to scale nicely as I increased the volume, providing a punchy and dynamic sound. I think this is an amp that likes to play loud. Very good first impression and looking forward to logging some more time with it as it settles in. Makes me very curious about Bryston's current amplifier offerings. If they sound as good or better than this, I could very much see myself being a Bryston fan! 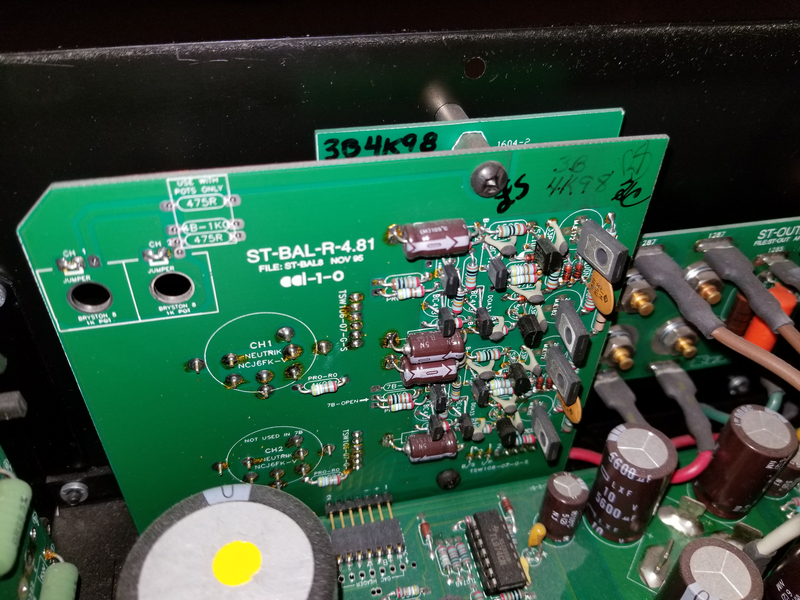 "All Bryston amplifiers contain high quality, dedicated circuitry in the power supplies to reject RF, line spikes and other power-line problems. Bryston power amplifiers do not require any specialized power line conditioners. Simply plug the amplifier directly into it's own wall socket." I have it plugged into the PS Audio Dectet. Perhaps I will try it plugged directly into the wall at some point to see if I notice any differences. ayre is the same way they have conditioning built in. My initial thought was that it was leaking caps as well, but this doesn't look like any of the other "leaking caps" photos I looked at online. The symmetry of the pattern around the caps is also interesting, almost uniform. 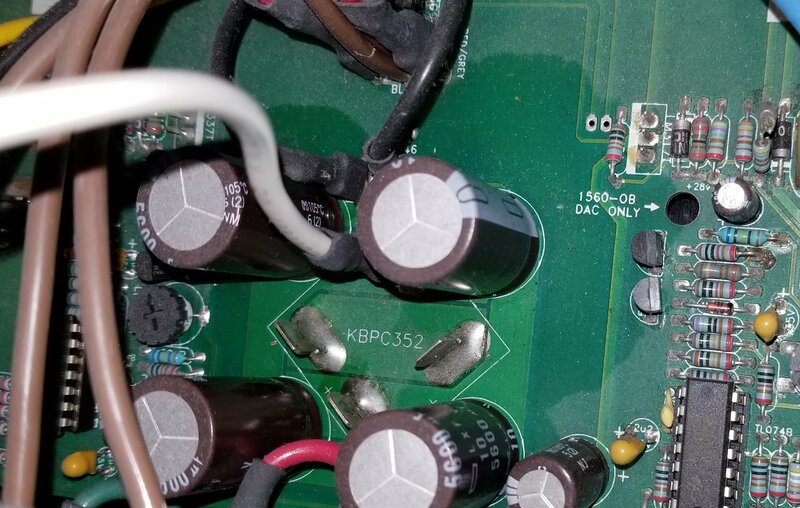 It almost seems like the amp was serviced at some point and that's residue left behind from a product like DeOxit or similar. If the caps were compromised, wouldn't it be affecting the performance/functionality of the amp? Are those not Elna Silmic caps? I was under the impression those and the Cerafine line didn't have electrolytic fluid because they used either silk or ceramic dielectric. Drew some caps do leak in an unconventional way. Some will just wick down the positive and negative leads into the copper traces and do major damage to the traces. it won't matter if the are upside down or not through capillary action it still happens. I know first hand. I logged another three hours on the Bryston tonight and had a great time! This amp seems to pair of perfectly with my 703s. It seems like it has a pretty "flat" presentation across the frequency range, with nothing feeling accented or boosted. I still do wish the high end was a little brighter, but this could be a cabling/synergy issue. This is the third amplifier I've paired with the 703s and it seems to "scale" better as you turn up the volume. First amp was 40wpc, second 60wpc, now this Bryston with 120wpc. When I increase the preamp volume, the sound doesn't get "louder" so rapidly like the previous amps, but instead things just start sounding fuller and more fleshed out. Push it up higher and it continues to sound better. Feels good to actually have some usable range on the volume knob. 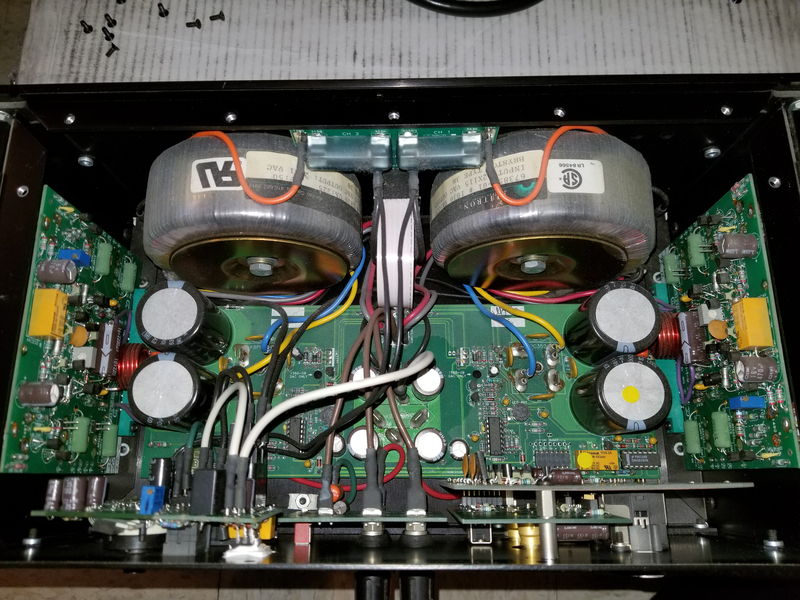 I'm not sure if this is a side effect of having a higher wpc or something about the gain structure, but this amp seems like it enjoys playing loud. I love that when I do give it some juice, there's no hard/harsh/shrill aspect to the sound. Everything just remains smooth and coherent, just sounds like music! In summary, it's just pleasurable to listen to. I like it when I don't have to think and focus or concentrate on finding something I "like" about what I'm hearing. With this Bryston and 703 combo, everything is just right there for the taking. Thoroughly enjoyable. If it's not bright and sterile it's broken or you've lost your high frequency hearing, which may be the case since you liked the B&W's at your friends. How does it feel to be so painfully wrong? It was a reply to Jesse's comment, that he since deleted with his special moderator permissions. "If it's not bright and sterile it's broken or you've lost your high frequency hearing, which may be the case since you liked the B&W's at your friends." So do you get to keep the amp or is it just on trial basis? FWIW it has taken me a year and a bit to tune my B&W speakers to fully enjoy them. Mostly due to time and other priorities. It's fun to be get surprised by something you perceived as you might not like. But I'm not. Lots of personal experiences with both brands. My opinion stands. Sounds like a fun audition, Drew. 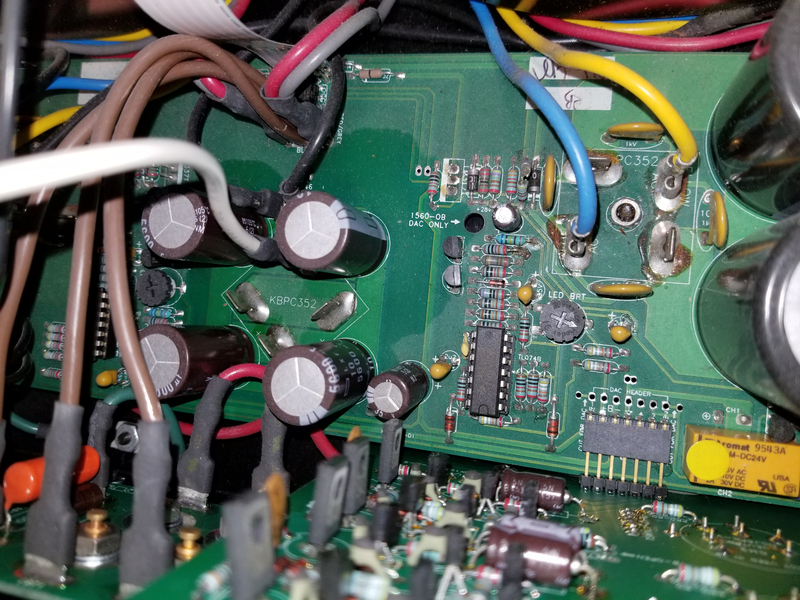 You've been running the Bryston with the Dayen's Ampino preamp? 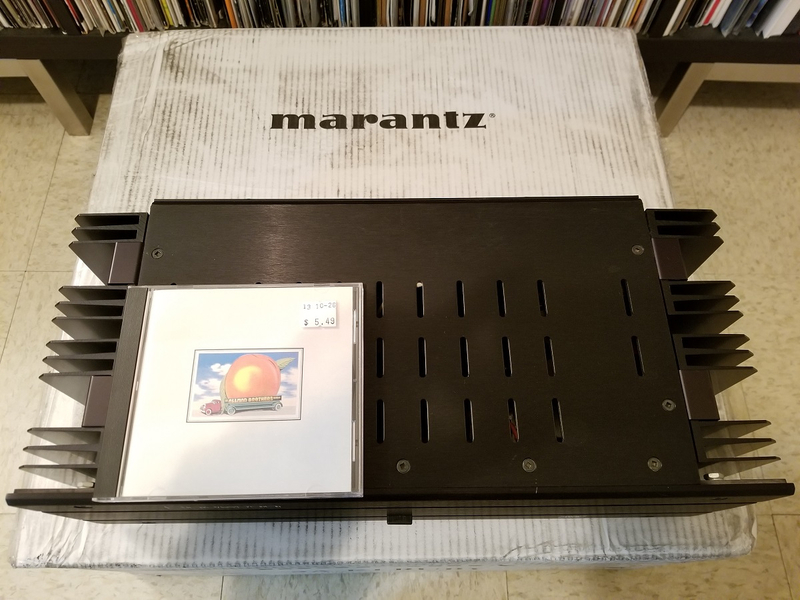 Is your new Marantz Ruby disc player in the mix? I wonder if the Dayens is providing some warmth and soul. I've also heard Bryston to have a reputation for being accurate and sterile. Impressive build quality. Almost had a Bryston and a Lexicon pair a few years back, but the seller was kind of shady. I was thinking the mix of LSIM and Dayens pre is where that warm sound came from myself. Either way it sounds like you are having a heck of a time enjoying your tunes. I asked if I could give him some cash for it, and he said it's not for sale. I get it, some gear has sentimental value. So, it's just on long term loan for now. I agree in regards to having expectations shattered. 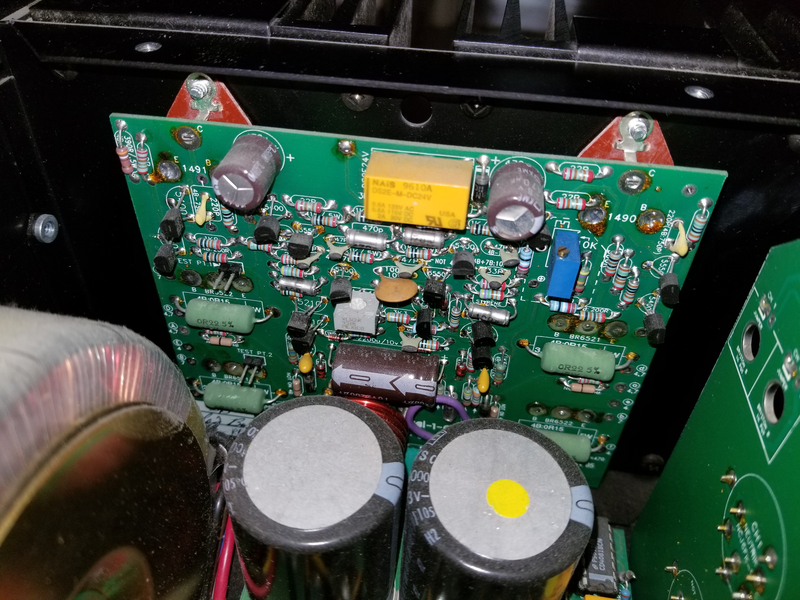 In this case due to what I've read I had previously thought that Bryston amps were hard and sterile, and in my experience with this 3B ST in my setup that is simply not the case. Hey Scott. Yes, I'm using the Ampino preamp with it for now. I will eventually try it with the Backert preamp as well. I've been listening with the Ruby and also my Marantz CD6004. 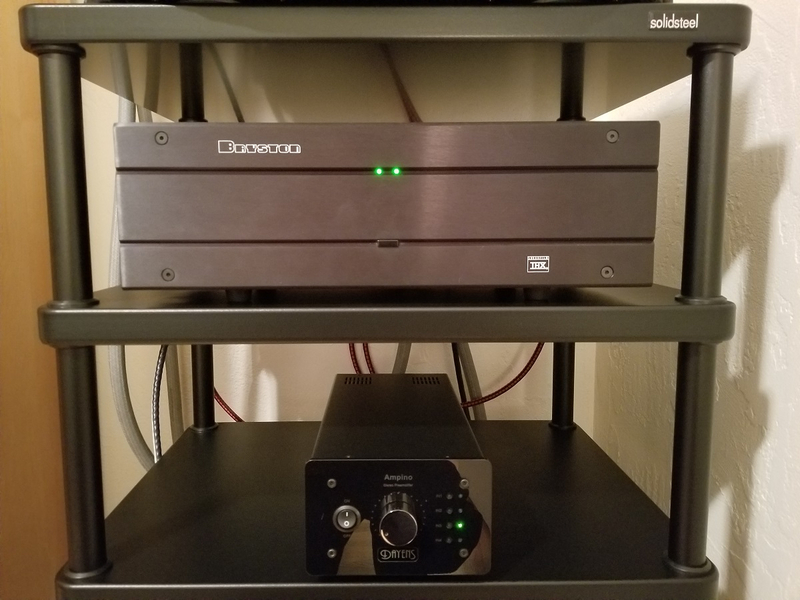 While I do agree that the preamp being used could be altering my impression of the amplifier's performance, just for the sake of clarity, I never said the word "warm" in my review/listening impressions. Bryston is captivating at first, in the long term not so much. My 4B3 seemed brilliant in my setup for years..... clear, extremely detailed, and gobs of power, not to mention serious grip on the woofers with this high damping factor. After listening to other amps, it became clear where Bryston falls short, not to mention the sound can be bettered for less money. 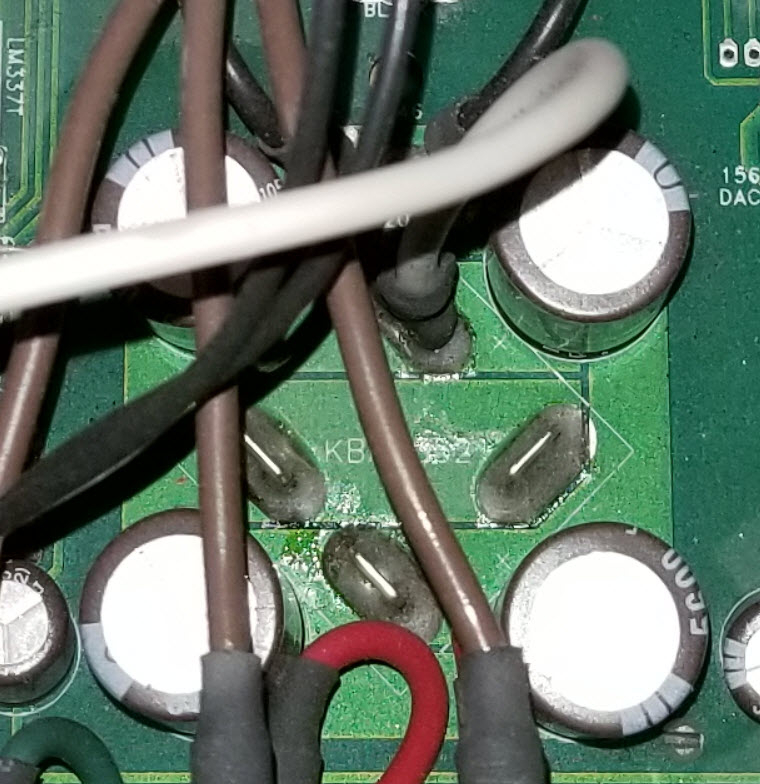 My 4B3 has a fantastic build quality, but with certain tracks it has this top end “sizzle” that drove me nuts. It was so revealing of the music, that you couldn’t enjoy it unless the track was a top notch recording. Not mention Bryston is notoriously hard to pair with other gear. The new cubed series is much better. Bryston would work fantastic for home theatre! I agree that Bryston would be excellent for HT. In fact, I read that their amplifiers are used in movie theaters and recording studios and I can see why. 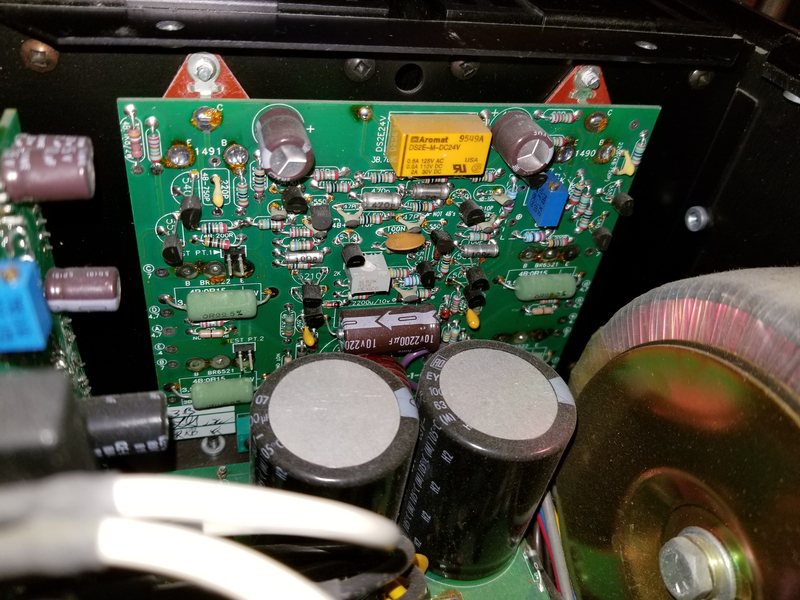 Out of curiosity, what areas did your Bryston "fall short" versus other amps you auditioned? Additionally, which less expensive amps did you notice to be better? Just curious and always trying to learn. I listened for roughly 7 hours today and didn't get a hint of listening fatigue, nor could I detect any obvious shortcomings of the amplifier that were detracting from my listening enjoyment. I gave the SACD of Dire Straits - Brothers In Arms a first listen through and really cranked up "Ride Across The River" and "The Man's Too Strong". Everything sounded crystal clear and stunning. The strong and abrupt guitar riffs that come in on Too Strong actually scared me with their impact and strength. I really liked the huge dynamic swings that the Bryston was pulling off, everything just seemed so effortless for it. I played some less than perfect recordings as well, and while it was extracting everything that was there in terms of the less than ideal recording, the music itself was still incredibly enjoyable in my opinion. Again, the theme seemed to be how it could pull off these huge crescendos, build ups, and climaxes and then go down to just barley audible tiny sounds. Lots of power, but also lots of grace and nuance. I found myself repeatedly getting goosebumps because of how great things were sounding which is always a good sign. Soundstaging seemed pretty good as well, as I was getting some nice spatial/3d/holographic effects going on. I'm trying to think of more details to write about from my listening session today, but I have a distinct lack of mental "notes" that I've taken. I was just thoroughly enjoying it's sound, and not trying to think so hard about the specific qualities/traits that it was exhibiting. I just find it's sound signature to be "simple, direct, and to the point" and as a result, I can get closer to the music that I love. 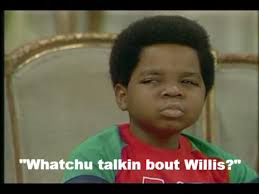 I know you went from the B&K amps to the Bryston and I thought you were really pleased with it. Are you thinking of moving into something more laid back to pair with the Focals?